Modern endoscopes play a significant role in diagnosing various gastrointestinal (GI) tract related diseases where the visual quality of endoscopic images helps improving the diagnosis. This article presents an image enhancement method for color endoscopic images that consists of three stages, and hence termed as “Tri-scan” enhancement: (1) tissue and surface enhancement: a modified linear unsharp masking is used to sharpen the surface and edges of tissue and vascular characteristics; (2) mucosa layer enhancement: an adaptive sigmoid function is employed on the R plane of the image to highlight micro-vessels of the superficial layers of the mucosa and submucosa; and (3) color tone enhancement: the pixels are uniformly distributed to create an enhanced color effect to highlight the subtle micro-vessels, mucosa and tissue characteristics. The proposed method is used on a large data set of low contrast color white light images (WLI). The results are compared with three existing enhancement techniques: Narrow Band Imaging (NBI), Fuji Intelligent Color Enhancement (FICE) and i-scan Technology. The focus value and color enhancement factor show that the enhancement level achieved in the processed images is higher compared to NBI, FICE and i-scan images. The authors would like to acknowledge Grand Challenges Canada (GCC) Star in Global Health, Natural Science and Engineering Research Council of Canada (NSERC), Canada Foundation for Innovation (CFI), and Western Economic Diversification Canada (WED) for their support to this research work. The authors also acknowledge the gastroenterologists who took part in the survey. They are (in no particular order): Dr. Smita Halder from Division of Gastroenterology, Department of Medicine, McMaster University, Dr. Mario Vassallo from Gastroenterologist Department, Mater Dei Hospital, and Dr. Mohammad Amzad Hossain from College of Medicine, University of Saskatchewan. Deeba, F., et al., Efficacy evaluation of save for the diagnosis of superficial neoplastic lesion. 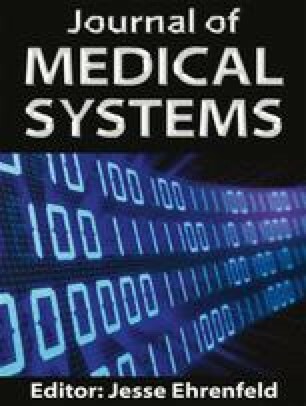 IEEE Journal of Translational Engineering in Health and Medicine (2017). doi: 10.1109/JTEHM.2017.2691339. Nishimura, J., Nishikawa, J., Nakamura, M., Goto, A., Hamabe, K., Hashimoto, S., and Sakaida, I., Efficacy of i-Scan imaging for the detection and diagnosis of early gastric carcinomas. Gastroenterol. Res. Pract., 2014. doi: 10.1155/2014/819395. Okuhata, H., Nakamura, H., Hara, S., Tsutsui, H. and Onoye T., Application of the real-time Retinex image enhancement for endoscopic images. Proc. Engineering in Medicine and Biology Society (EMBC), 35th Annual International Conference of the IEEE, 3407–3410, 2013. doi: 10.1109/EMBC.2013.6610273. Gastrolab – the gastrointestinal site. 1996 [online]. Available: http://www.gastrolab.net/index.htm. Atlas of Gastrointestinal Endoscopy. 1996 [online]. Available: http://www.endoatlas.com/index.html. FICE Atlas of Spectral Endoscopic images. 2008 [online]. Available: http://www.fujinonla.com/inc/class/descargar.php?url=/archivos/catalogos/fice-atlas-esp.pdf.